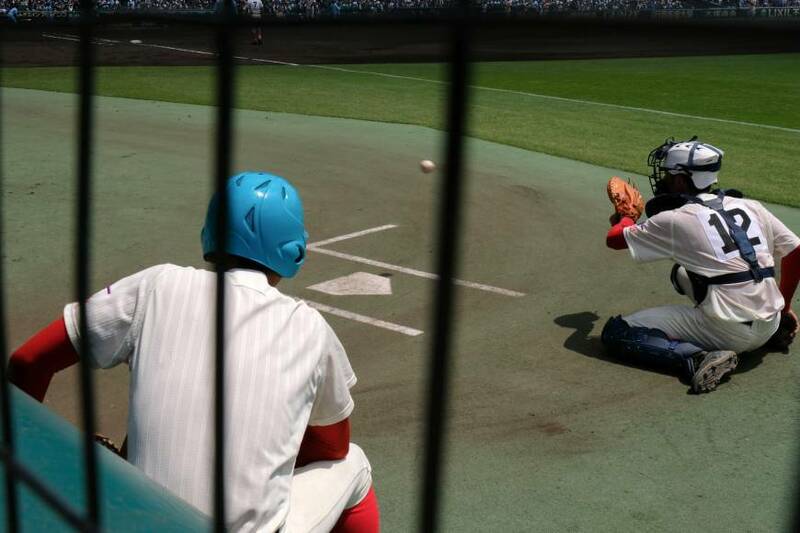 While living in Japan, I spent languid summers watching Koshien on television. I’d rise before the first game and pour cold mugicha (barley tea) as cicadas hummed outside my open windows. It’s the sounds I remember most. The chatter of the announcers punctuated by aluminum bat pings from foul balls, hits, and home runs. The bands playing brassy versions of pop songs from the past. Koshien is as auditory as it is visual. But I’d never been able to make the trip to see it live. For the last few years, I’ve been shooting a photobook in Wakayama. During frequent trips, I’d built a good relationship with the prefecture. 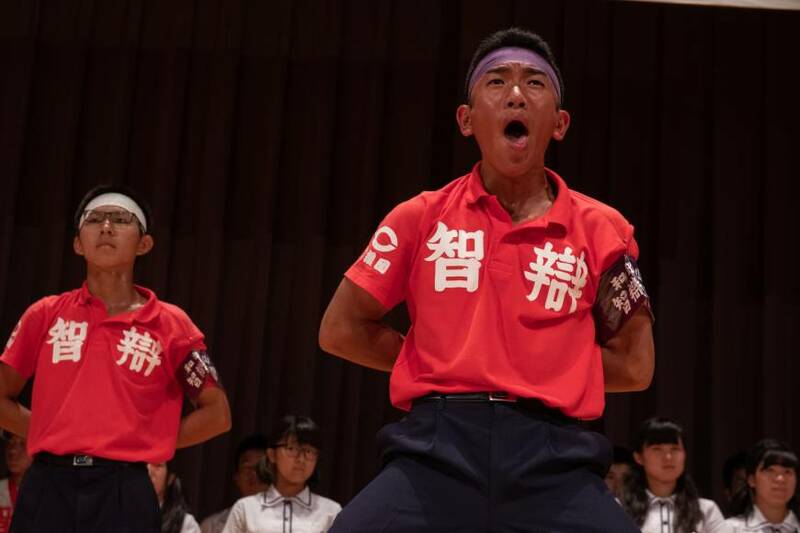 When I realized the dates of this year’s visit aligned with the start of the tournament I decided to ask the prefecture for an introduction to Chiben Wakayama High School in hopes of photographing their run. Thankfully, the prefecture vouched for me and the school agreed to let me shoot the team with restrictions. I agreed and looked forward to a few weeks with the team as it went far into the tournament. They lost their very first game. That’s sports. On the practice field, the players stretched and scrimmaged under the black skies of an approaching typhoon. 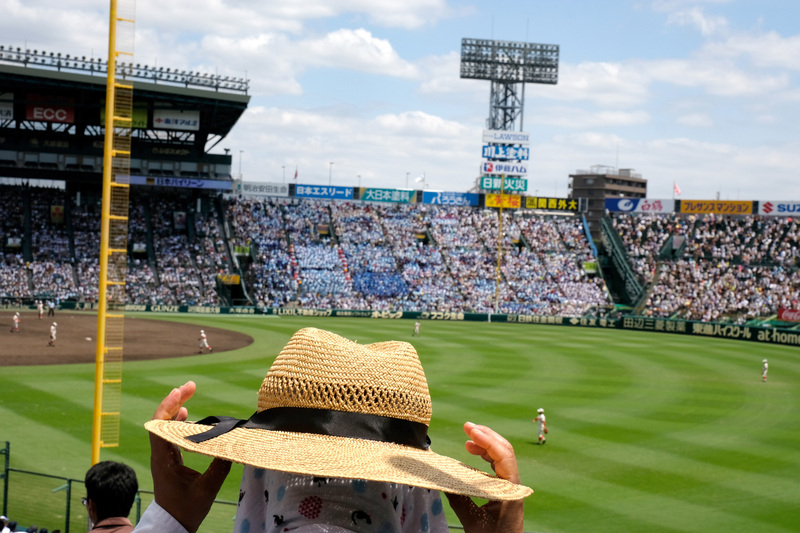 At Koshien Stadium, cheerleaders positioned gloved hands as if casting incantations that might propel the team to victory, band members played each note like the key might determine the velocity of a pitch. 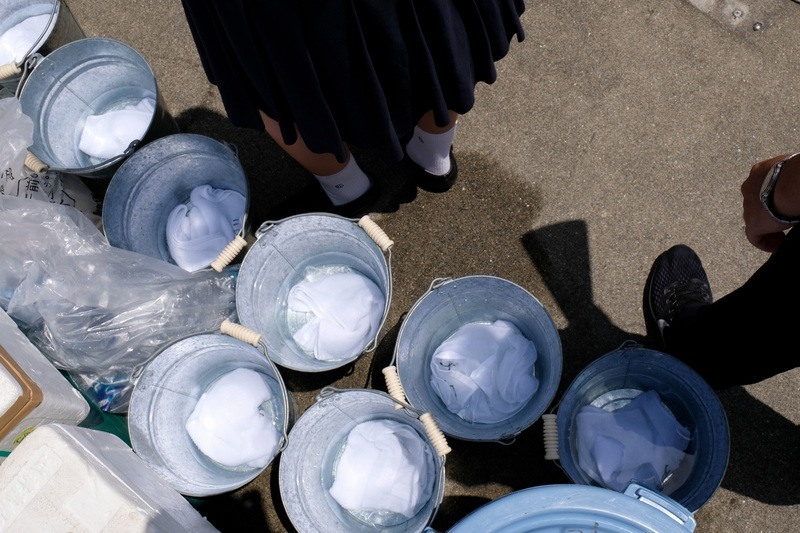 Volunteers rushed to cool them all down with wet rags from ice water buckets. 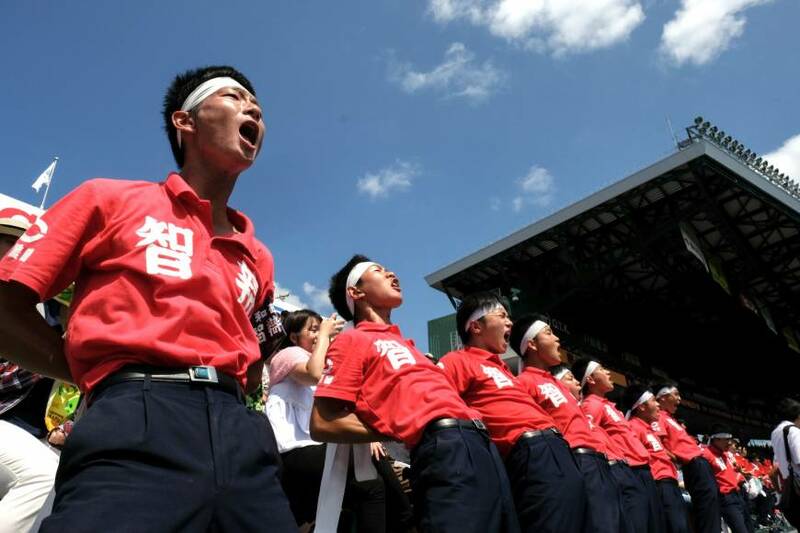 Koshien is a celebration of locality through sports. The ballpark acts a space where people can gather together and feel proud of their hometowns. 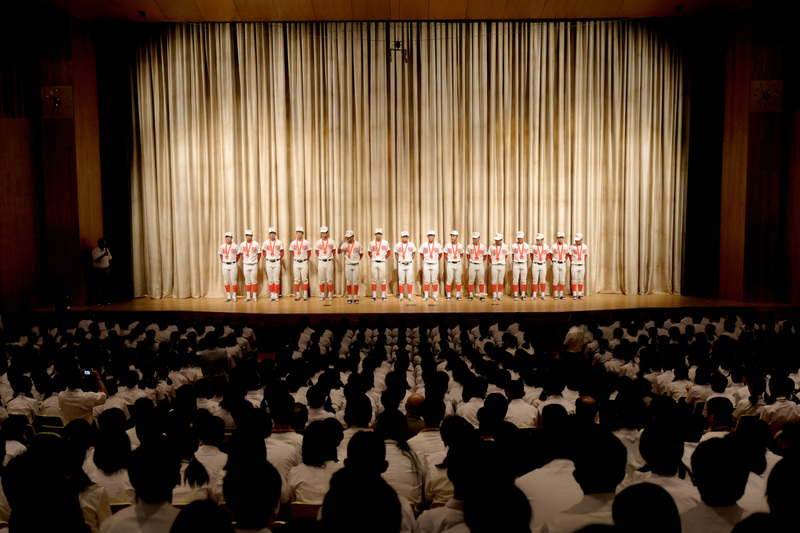 And maybe, just maybe, that little high school from wherever you’re from can win on the biggest stage in Japanese amateur sport. That’s the magic I was aiming to capture. The fleeting thrill of it all. 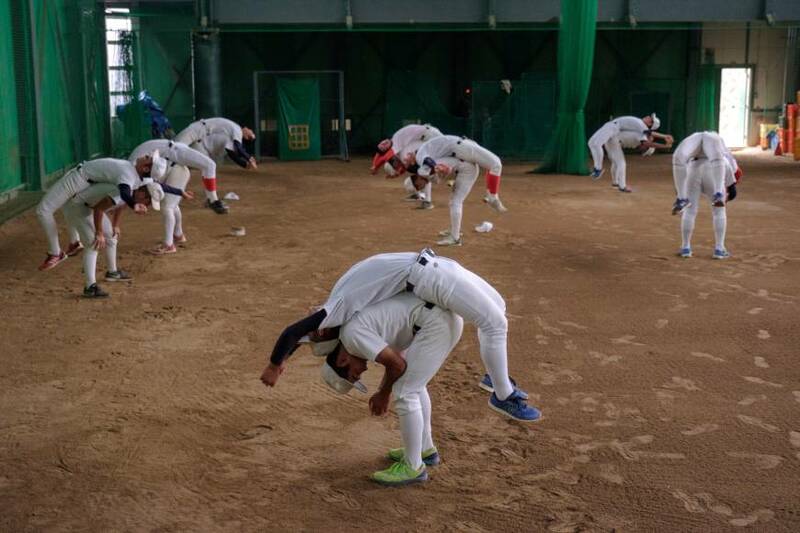 Read more about the 100th anniversary of Koshien.